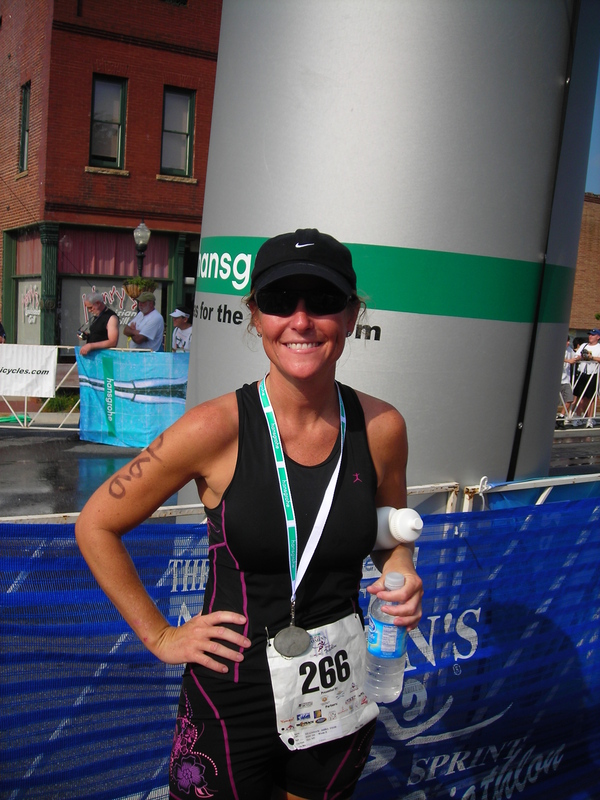 I started participating triathlons after a very bad relationship breakup…the kind of relationship where I thought “Woo-Hoo!! I’m gonna marry this guy” and I started scribbling my name with his last name like a high school kid. Annnnnd then it didn’t happen. Not only did it not happen, but I found myself completely opposite of where I pictured myself. I found myself alone. Not married, but completely ALONE. So after a month long diet of wine, cookies, wine, ice-cream, wine and pasta, I decided to give up the carbs and get in really good shape. I thought, “That’ll show him. When we bump into each other in the future, he’s going to go “DAMNNNN. I screwed up.” At least that’s what I had hoped he’d be saying. So instead of just joining a gym, I went the extreme route…I signed up for the IronGirl triathlon, and so my training began. Before I signed up, I don’t think I had really considered the distance that is involved in a triathlon. 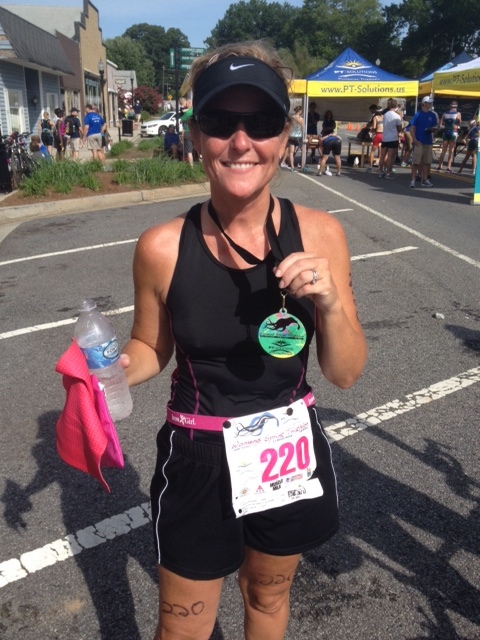 I hadn’t thought about the fact that I would have to swim 600 yards, then bike 18 miles, then run a 5k. Much too late, I realized that 600 yards is the equivalent to 6 football fields. 18 miles is equal to 72 times around a high school track, and a 5k would be like hiking up, down and back up Stone Mountain. And I was going to have to do this not in just a day, but in less than 2 hours. With each race my primary goal is to not drown during the swim, not hit a pothole with my bike and end up with a massive head injury, and not to have a heart attack during the run portion. Instead I just want to finish the race and get my t-shirt confirming that I have participated in and lived through a triathlon. Skip forward a few IronGirl tri’s and local sprint competitions, in which I didn’t come in last place by the way. I realized that it wasn’t important for me to get in shape and do these tri’s to impress someone else. It was for me. I was having a great time, getting in fantastic shape, meeting new people and finding out that I was much stronger than I ever imagined that I could be. And you know what else I found out? Having confidence can be very attractive! And you know what I’ll say if ever I run into that old ex-boyfriend who inspired me to kick start the inner athletic goddess in me? This entry was posted in Uncategorized and tagged athletic, bike, break up, competition, diet, gym, IronGirl, losing weight, race, relationship, run, swim, training, triathlon, work out. Bookmark the permalink. Thanks Colleen! I’m hoping my knee continues to hold out. :). So far so good! I just want to say I am just beginner to blogging and site-building and truly enjoyed this page. More than likely I’m likely to bookmark your blog post . You absolutely have impressive writings. With thanks for sharing your blog site.